Applying a tack coat requires a sophisticated piece of equipment like the Rosco Maximizer 2B to ensure a uniform spray. The folding spray bar allows application without extensions and easily adjust to provide even coverage of triple overlap fan spray pattern. 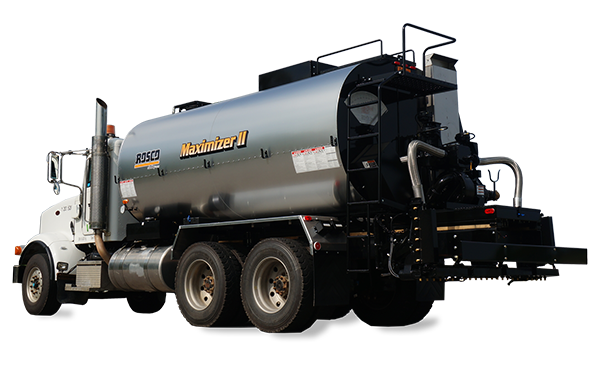 Trusting in the proven reliability and solid performance that can only be found in a Viking asphalt pump coupled with our proprietary spraying algorithms, the Maximizer 2B yields long-lasting, top notch performance for all application types. *Gallons listed are maximum tank capacities. Recommended tank capacities may be limited by 1.) Thermal expansion of materials. 2.) Density of materials. 3.) Truck/axle load ratings. 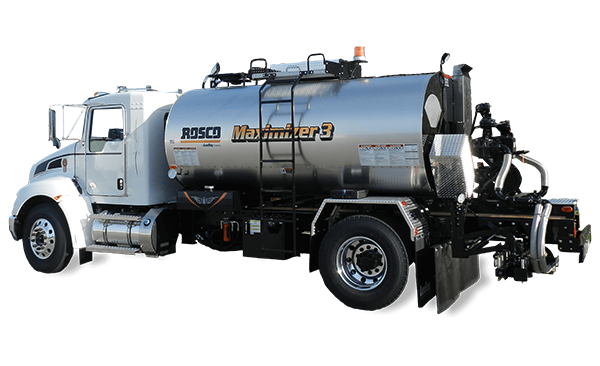 For more detail, please contact your local Rosco Sales Representative or Dealer.